As you observe modern life, do you see a tendency to disconnect from our inner lives and from each other? Do you get the sense that life is unnecessarily hurried, stress-filled and aggressive? That too many of us often choose destructive strategies — addictions, isolation and antisocial behaviors — to handle the challenges we face? Thankfully, there is a new source of hope: The Connection Practice offers an antidote to disconnection for those willing to learn and use it. Not a magic wand, but an easy-to-use, simple-to-learn practice with a demonstrated ability to melt away pain and enrich lives. The Connection Practice teaches a skill that unites your empathy and insight for accelerated growth. Empathy is attained through a conscious connection to feelings and needs, and insight is accessed through heart-brain coherence. The synergy in this partnership maximizes your social and emotional intelligence, builds resilience, and enhances performance. 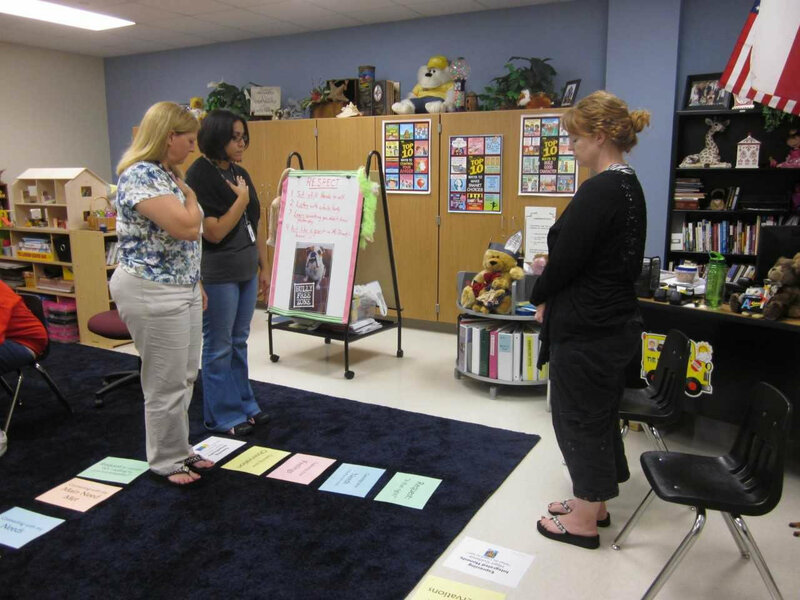 Connection Practice coaches and trainers gratefully acknowledge the HeartMath® Institute and Marshall Rosenberg’s Nonviolent Communication for inspiring the Connection Practice. This skill has proven its value in businesses, schools, universities, non-profits, families and faith-based communities. “If everyone practiced this it would transform our world into a sane one!” — Henry B. “Relationship with my once-angry teenager is now restored” — Jennifer H.
Scientific research shows that violent reactions can occur when we are triggered by emotional memories. 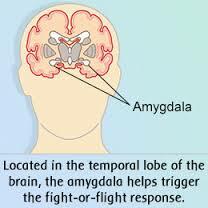 The amygdala, the part of the brain that holds emotional memories, can trigger stress, fear or a fight response faster than we can think. Based on past information and situations, it can keep us trapped in negative emotional patterns that can lead to health challenges and violence. These skills translate to all areas in life, and the training works wonders for businesses, schools (from pre-school to college), nonprofits, families and spiritual communities of all faiths. See this video about building connection in a disconnected world. Attend an in-person Connection Practice Course taught by a certified trainer. If you can’t attend an in-person course or webinar, work through the Part 1 self-study course. After attending a Connection Practice Part 1 course, or doing equivalent work with a trainer/coach, join a Practice Group to help you master applying the skills in your life. 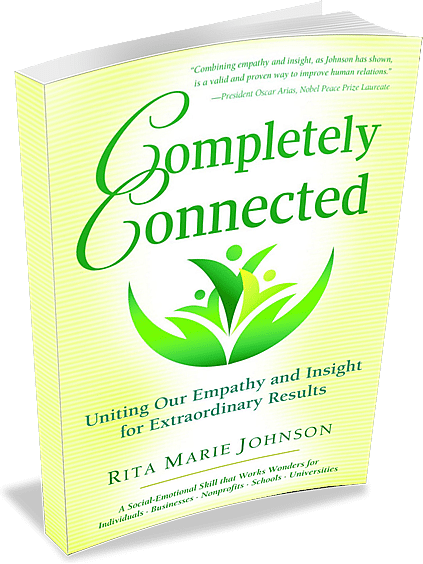 Rita Marie’s latest book, Completely Connected: Uniting Our Empathy and Insight for Extraordinary Results, is both a primer on the Connection Practice and the fascinating story of how she discovered this life-changing practice. Be sure to purchase your copy today! Hey Buddy!, I found this information for you: "The Connection Practice". Here is the website link: https://connectionpractice.org/connection-practice/the-connection-practice/. Thank you.